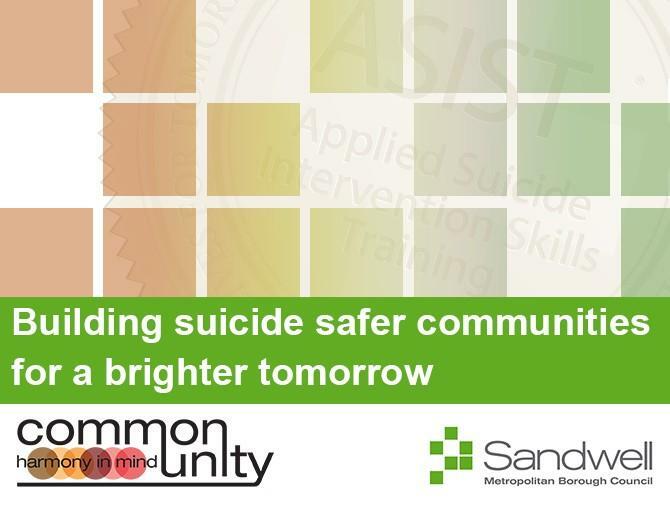 Sandwell Borough Council have commissioned Common Unity to help them achieve a suicide safer community. Over the next 3 years Common Unity and partner organisation, Forward for Life will be delivering the world renowned suicide prevention training programmes, ASIST and safeTALK across Sandwell. "that one suicide is one too many".